Takht-e Foulad Cemetery with an ancient is Written that history is the most noble and the most glory that’s famous ous cemetery of Shiite’s world after Jannat the prophets o al-Baqi Cemetery in Medina, Saudi Arabia tomb is another and VadiAl-Salam in Najaf, Iraq. This place dating back top is also known as Lesan Al-Arz and Baba Up until before Rokn-al-Din. was a local pla This cemetery dates back to 10th century. 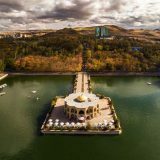 Of they built a m course, the time of its initial foundation is not known as Tom clear yet, but monuments exist in this Safavid era a eatery proof that it dates back to pre-Islamic this cemetery, Era. With area of about 75 hectares, this cem of Caravans eatery is located south part of Zayand-e Rud south. 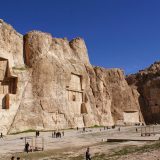 Due to its great area,high as a private number of buried celebrities, and existence of just sholarsan many valuable monuments, Takht-e Foulad here Cemetery is considered as one of the important During reign historical and cultural sites of Iran. 1666 to 169 According to Jean Chardin travelogue, during had its great Bu yid Era (934-1062) there was a military Takayaand commander named “Poulad Bazu” (means a Era, especia man with steel arm)had small palace here, Hossein, des and he built arock-like platform forhimself kaya were be Mail Silesia to sit and watch wrestlers’ competition of Shah Sule Moreover, there is an other tomb stone belong to “Baba Foulad Halvaie” (11th century) in sen, sentence and destruct his cemetery Cemetery In an important historical book known as Half of the World in describing Isfahan”, it is written that there is a tomb in Lesan Al-Arz that is famous as “Joshua the prophet (one of the prophets of Jewish tribe). Actually, this tomb is another reason that this cemetery is dating back to per-Islamic era Up until before reign of Safavid Dynasty, this was a local place for Dervishes to gather, and they built a monastery here for themselves known as Tomb of BabaRokn-al-Din. 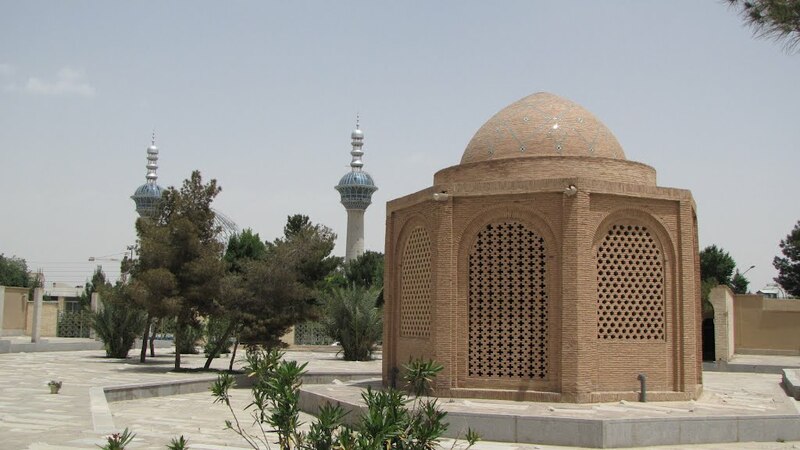 During Safavid era a caravanserai was built next to this cemetery, and it was the last resting place of Caravans which destined to Isfahan from south. The building of this caravans erai is still somehow safe. This cemetery was considered as a private cemetery during Safavid Era and just influential people were buried here During reign of Shah Suleiman Safavi (ruled 1666 to 1694), Takht-e Foulad Cemetery had its greatest area, in a way that it had 400 Takaya and Monastery. During late Safavid Era, especially during reign of Shah Sultan Hossein, destruction of Takht-e Foulad’s Takaya were begin. 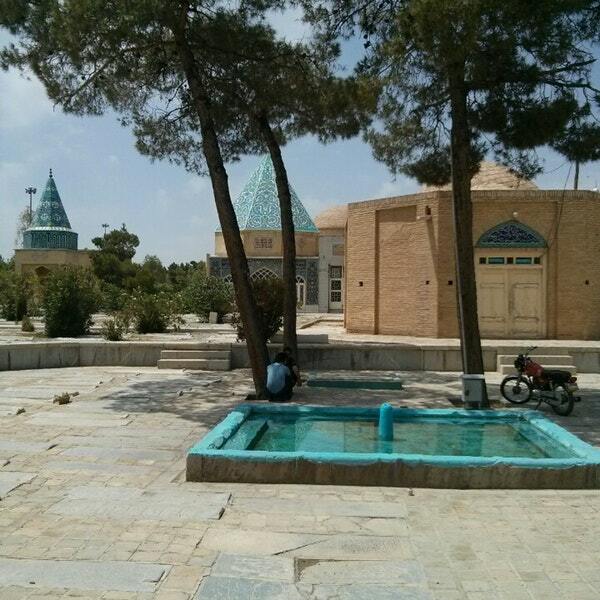 Molla Mohammad Bagher Majlesi,a clergyman lived during late reign of Shah Suleiman as early Shah SultanHossein, sentenced Sufis of lsfahan to banishment destruct their Takaya Takht-e Foulad Cemetery. Then after incident, this cemetery became this public. During Qajar Era,and especially dur- ing reign Fath-Ali Shah Qajar (ruled 1797 1834), by construction of Madar Shahzadeh Takaya, there was destruction in that cemetery. At the ruling time of Mass’oud Mirza Zell-e Soltan, the governor of Isfahan (ruled 1872-1907), the most destruction happened in Takht-e Foulad. 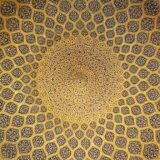 He also destructed many other monuments and palaces of Safavid Era. 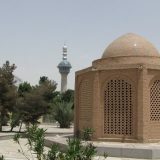 In 1984, death burial had stooped in Takht-e Foulad, except of Martyrs of Iran-Iraq’s war and since after death are buried in new a cemetery known Rezvan Garden This historical monument as a whole and its Takayas and other buildings separately were registered in National Iranian Monuments List. 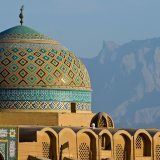 In each Takaya of Takht-e Foulad there are tombs of famous scholars and artist, and that Takyeh is named after the most famous person buried there. Mir Fendereski Tekyeh, tombstone of Baba Foulad Halvaie, Baba Rokn-al-Din Tomb, Aqa Bashi Tekyeh Borujerdiha Tekyeh,Toysekaniha Tekyeh, Khatun Abadi Tekyeh, Joybarehie Tekyeh Seyyed Al-Aragain Tekyeh, Riziha Tekyeh Shahshahani Tekyeh, Feiz Tekyeh, Lessaan Al-Arz Tekyeh, Madar Shah-Zadeh Tekyeh, Kazeruni Tekyeh, and Bidabadi Tekyeha mportant places of this cemetery.